The tried and trusted logic distributor with eight connections in combination with the new limit switches enables universal die set monitoring. The growing complexity of die and injection moulding processes makes the monitoring of processes increasingly difficult. More and more signals have to be collected in areas that are sometimes difficult to reach. Meusburger has long offered an intelligent solution for more clarity with their logic distributor and appropriate limit switches. 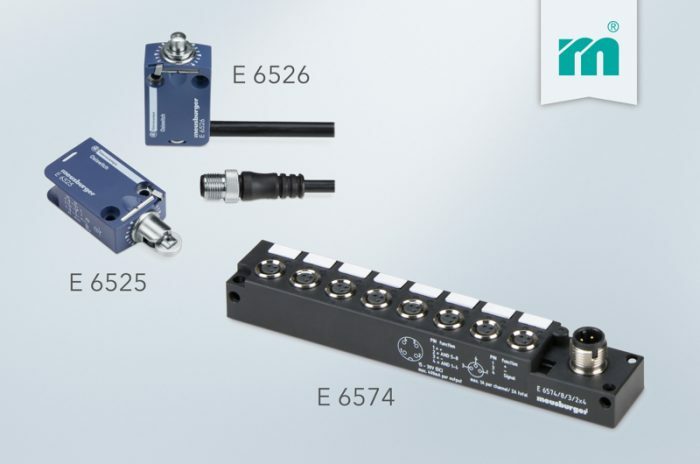 For even more design freedom, the E 6574 Logic distributor for sensors is now also available with eight connections. The operation and switching state is also clearly visible in the new product by means of integrated LEDs. Several sensor signals are merged without voltage drop via a logic gate. The E 6574 Logic distributor is available as a simple AND/OR version. The new E 6525 and E6526 Limit switches with roller or dome plungers also support a more flexible design of increasingly complex dies. The sensors are equipped with adjustable rollers and therefore suitable for a wide variety of installation positions. In addition, the limit switches are versatile thanks to various electrical connection options and have a long service life due to the robust housing with ingress protection IP67. In summary, these new products from Meusburger guarantee universal and clear die set monitoring. For more information, please visit http://www.meusburger.com.